Opossum was delighted by this suggestion and Rabbit left him singing the praises of his tail even more loudly than usual. Next, Rabbit called on the cricket, whom Indians call the barber, because of his fame as an expert hair-cutter. Cricket listened with growing amazement as Rabbit recounted his conversation with Opossum. 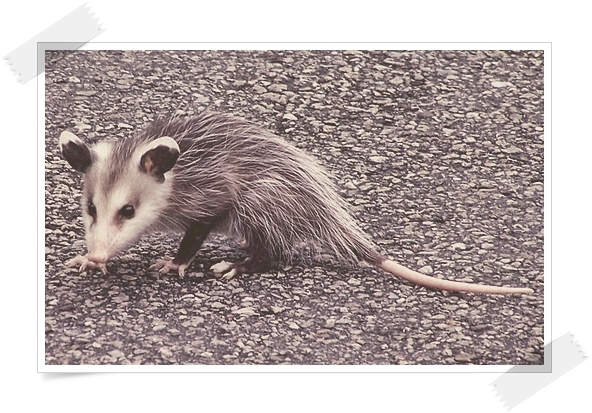 Like all the other animals, he found Opossum's vanity and arrogance very tiresome. There is a wonderful book on Amazon about this Native American Legend. If you go to Amazon you can browse through a few pages of the book.